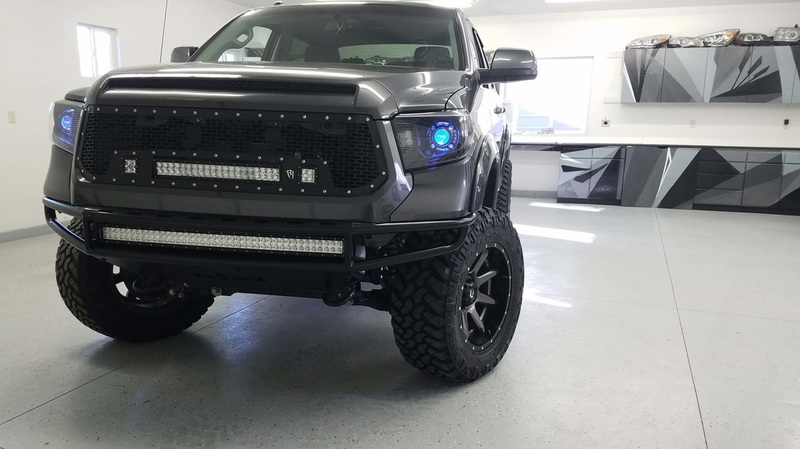 Here at Trax Customs, we believe in going to the extreme and achieving that 'wow' factor; but we also believe in doing it the safe and legal way. 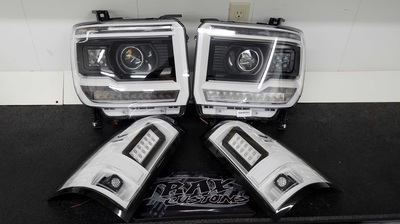 We offer a wide variety of lighting options from LED interior accent lighting, HID kits and R8 type headlight LEDs, to the all out brightness of aftermarket retro-fitted projector headlights with the best products on the market to give you the most light output you'll see around, while keep your safe and legal on the road! What ever you passion is, or whatever your goal is; Trax Customs can help you achieve it! 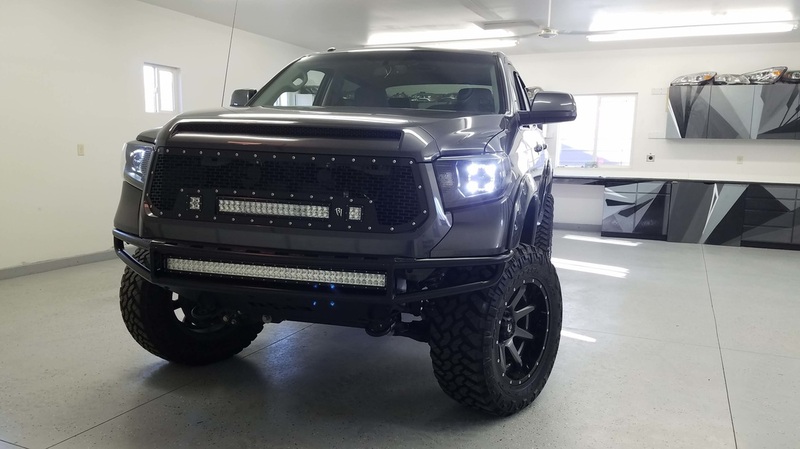 Whether it's an underbody kit, door accents, handle accents, engine bay lighting or some wild and unheard of, we can do it! 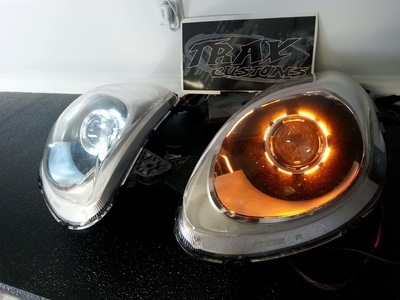 You've always wanted that high-end, European look of bright Halo or Demon rings around your headlight, but didn't want to buy those cheap eBay knock-off; well look no further, Trax Customs can retro-fit any size of Halo into your headlight assembly and help you achieve that custom high-end look you-ve always wanted. We even do custom LED lighting; so you can get that even higher-end R8 or Porsche fog or driving light look. 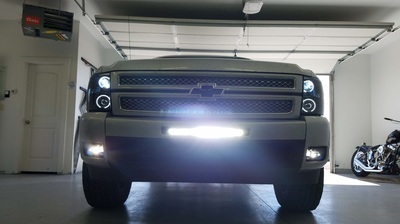 Wow your friends will super bright LEDs in your headlights today! 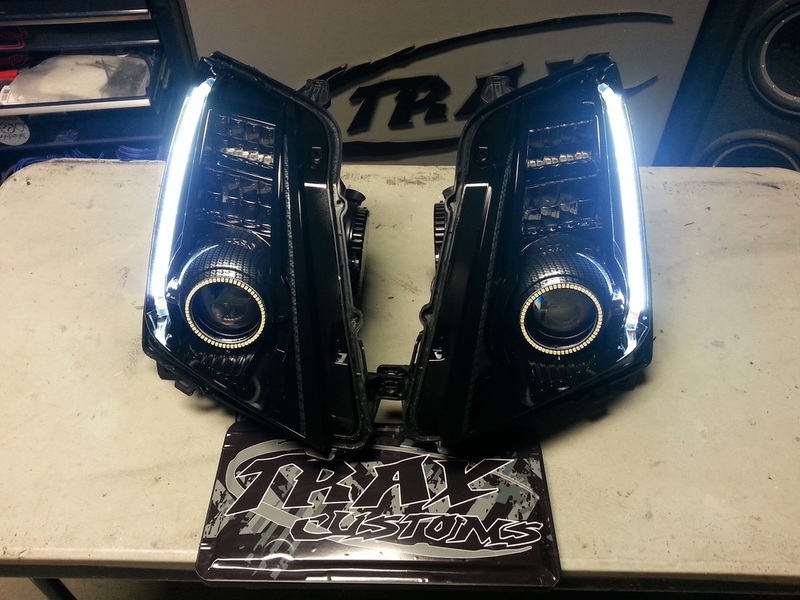 Trax Customs carries a few different brands of HID lighting kits to fit your every need. From Single beam setup to quad output setups. We've even got you covered in the color department. 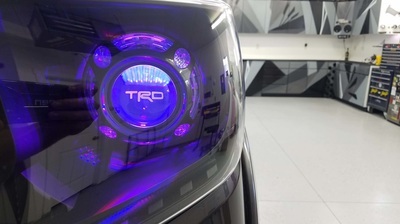 While 4300k and 5000k are you brightest, most light output available, we understand that the 6000k, 8000k, 10000k or even 12000k lights look cooler because of their blue-ish purple tint. 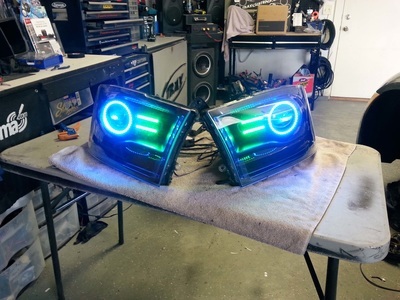 We can even install them for you; once you get a hold of these kits you'll understand why...they're just plain confusing! 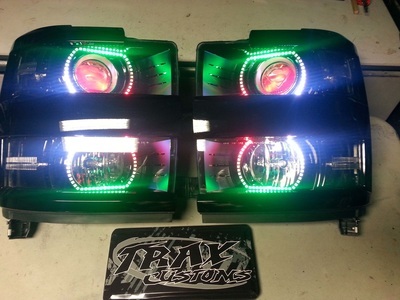 You're tired of your stock headlights or even tired of getting pulled over from your aftermarket HID kit you installed. It's time to step it up a notch and put some serious gear in your headlights! 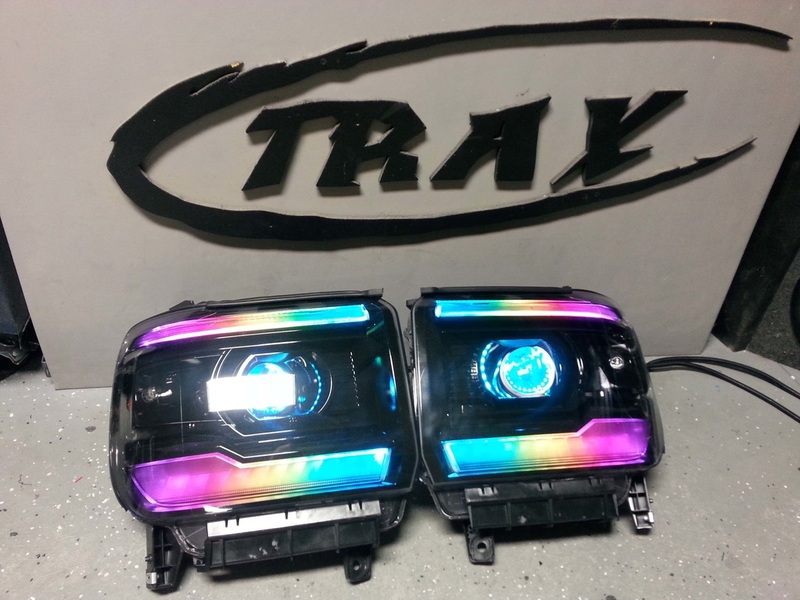 Aftermarket Projectors (Single beam or Bi-xenon) are the only way to go in car or truck lighting. Have projectors installed into your stock housings do 2 things: (1) Give you the best possible light output than any other car on the road while keeping you legal and (2) give your headlight that aftermarket look you've been looking for, without buying another set of cheap knock-offs! 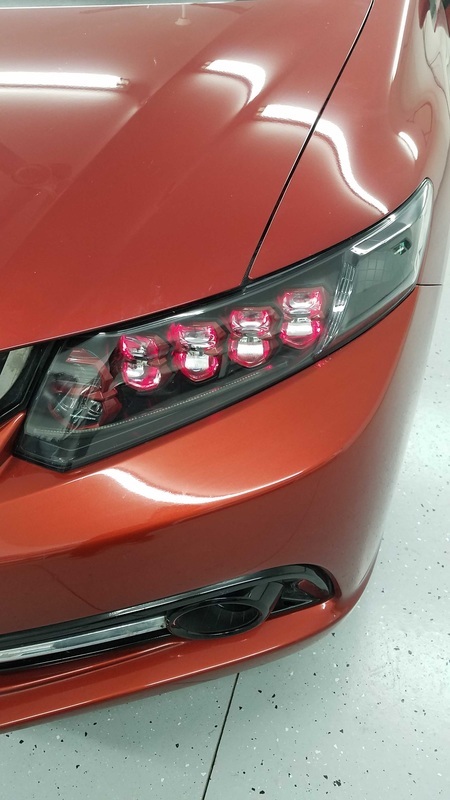 Projectors are small lighting modules that, once installed correctly into your headlights, will give off a focused beam that amplifies the light to the brightest level possibly. What about on-coming drivers? Well, that's the glory of projectors; they also provide a perfectly straight cutoff line so that all the on-coming drivers see if a small little blue-ish purple flicker in your headlights. 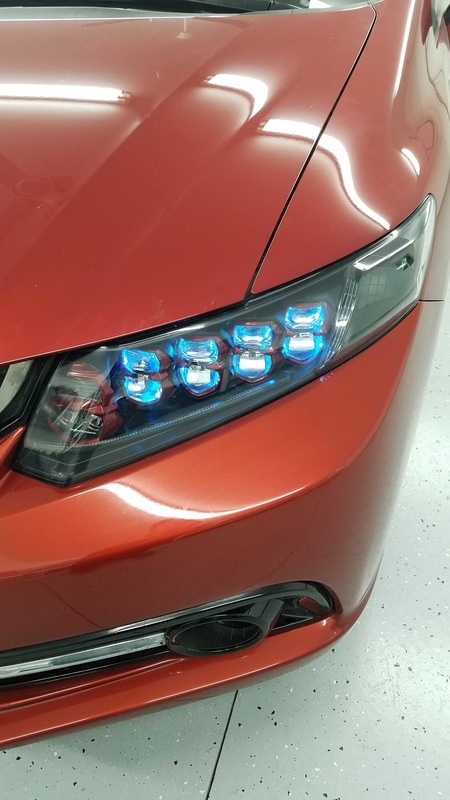 Have you even seen an on-coming Porsche/Range Rover/Acura/Infinity or other vehicle that seems like the light will flicker when it goes over a bump; and the light goes from dim to BRIGHT and back to dim? Those are projectors. 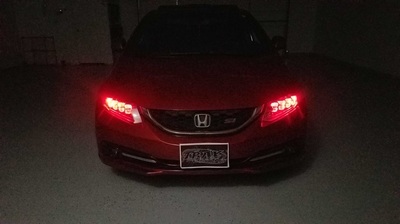 So that's all fine and dandy; but what happens when I want to put my brights on? 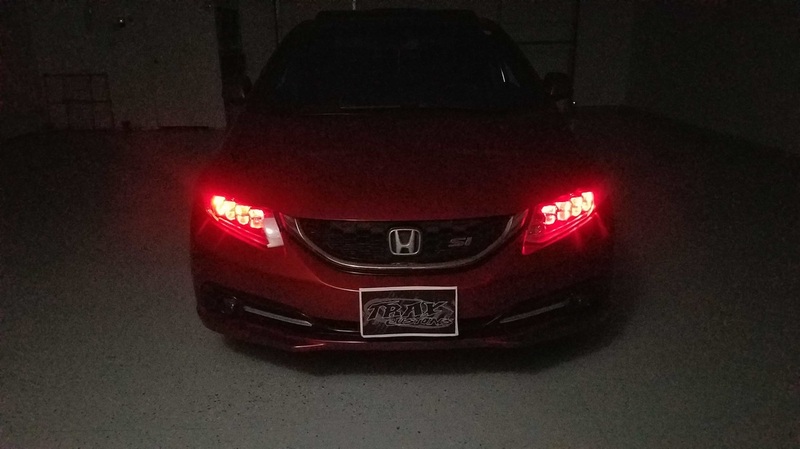 Well, if you select the Bi-xenon option, once you trigger your brights, the projector automagically drops the cutoff shield exposing more of your HID lighting bulb. When we say expose more of the bulb, we mean you Turn On the sunlight! With the correct projector, HID bulb and ballast, you can almost make vegetation wake up! 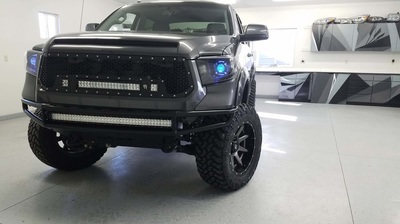 So if this is what you've been looking for, look no further! Whether you've wanted brighter lighting or that custom, sleek look of no chrome in your stock housing; we've got you covered.....again! 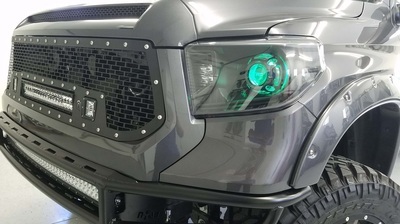 We can custom install LED lighting in your headlights, blinkers, marker lights, or even make custom taillights that put the latest technology into your current vehicle. These are on a case-by-case basis, but don't hesitate to ask; as we're the only ones doing it in Idaho!